There are many character traits that make a man attractive. I happen to think intelligence, focus and attention to little details are a few that are admirable and important. We are at Day 225. 2-2-5!! I just want to have a little Star King fun revisiting that moment when G.O’s impeccable memory was challenged and he had to memorize – in exact order – a series of 30 letters, numbers and symbols. Was he successful? You bet he was! A man who is perceptive will always be sensitive to the thoughts and feelings of others. That is rather attractive if you ask me. Along with his incredible talent, gracious and humble demeanor and yes, his easy-on-the-eyes good looks, from what I can tell, G.O is one perceptive and intelligent young man. 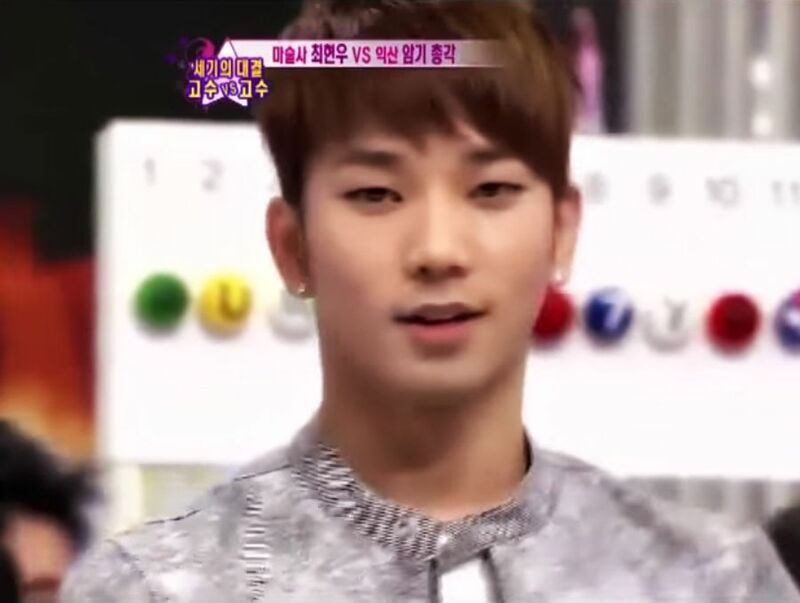 MC Kang Ho Dong learned a thing or two about G.O on the 30 April 2011 broadcast of the SBS variety show, Star King. He, along with all of us learned rather quickly that G.O’s laser sharp mind had a very high functioning built in photographic memory. Back on 10 June 2014, I published a 116 Reasons To Love Byung Hee post where I talked about this particular type of memory phenomenon known as eidetic memory. You may recall that I wrote that eidetic memory is the ability to recall images in great detail for several minutes. Now, I am not sure if this is an exact interpretation of what G.O demonstrated however, it seems to fit the description of what happened on the Star King stage that day pretty accurately. Whatever it was, it was impressive. But then, to me…G.O is always impressive. Categories: G.O Military Discharge, MBLAQ Musings, The G.O Files | Tags: Eidetic memory, G.O, G.O images, G.O on Variety Shows, G.O's Military Service, Jung Byung Hee, Jung Byung Hee images, Kang Ho Dong, Korean Variety Shows, MBLAQ G.O, MBLAQ G.O images, MBLAQ G.O on Television, MBLAQ G.O on Variety Shows, Star King Korean Variety Show | Permalink.